Summer is well under way and I find myself craving bright and wonderful colours. Eye, lips and cheeks. I've been loving mixing up what I use on my face, specifically my blush so I thought I'd share with you what has been giving me a flush of colour this summer- aside from the heat! 2) Elf Baked Blush in Peachy Cheeky- This is a very light peachy shimmery blush with veins of a darker colour, I had actually forgotten about it until recently. It's nice to warm up the cheeks, not go too OTT and give a lovely glow. This comes in at £3.95 but I got it in a 50% sale so it's even better! 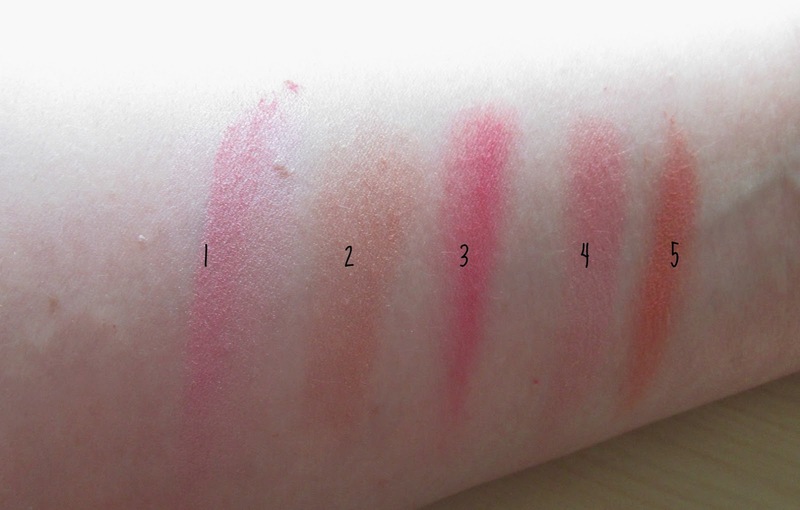 5) MUA Blush in Lolly- A blooming steal at £1. It's a nice bright, alsmost sherbet orange blush with not much real visible glitter/shimmer but gives a lovely sheen to the cheeks and is nice with a tan. It looks a wee bit darker in this swatch because of the light but you can see in the top pic how lovely it is! 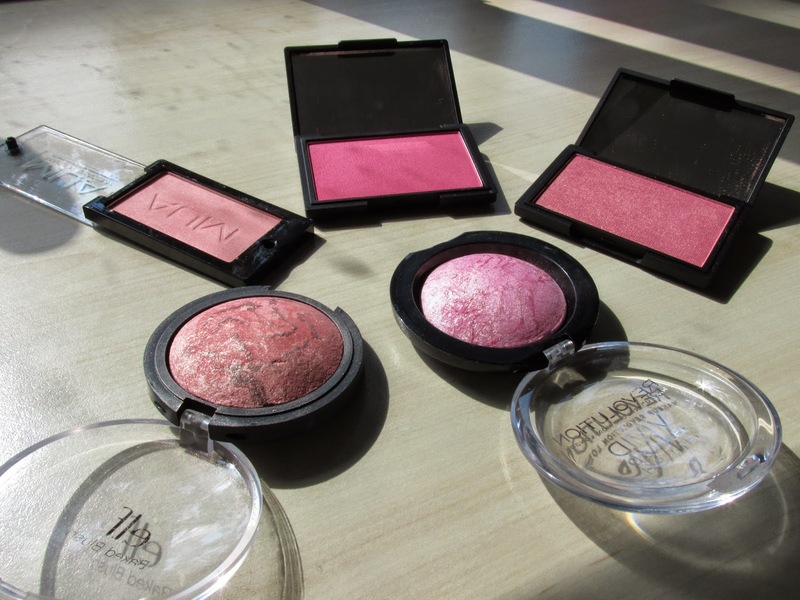 So that's my roundup of my fave summer blushes- did you sense a theme? I love a good glow haha! What are you loving for summer? These look lovely, I've heard so much about the sleek blushes!